Learning through Play is the key to all that we do. A fun and friendly environment, enthusiastic and experienced staff and fabulous facilities ensure that the children in our care are happy and excited to be with us. We strive to meet the individual needs of all our children and to deliver personalised learning and care to help each child achieve their potential. We understand that each child is an individual. We encourage self-motivation, independence, self-discipline and learning through the positive examples set by peers and adults. We support all children to develop their full potential at their own pace, by creating appropriate play activities and inspiring imagination. 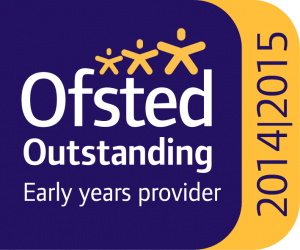 We follow the guidelines of the EYFS, taking great care and attention to ensure each child is nurtured, inspired, supported and encouraged in their development. Our curriculum is specifically crafted to support our core value of “learning through play”. Detailed and regular observations allow us to guide each child to their next goal and nurture their budding skills. We create a Learning Journey for each child when they join us, providing a personalised record of their journey through pre-school. Full of photographs, artwork and staff observations each Learning Journey is a treasure-trove of special moments and developmental milestones. We acknowledge that parents are a child’s primary educator and strongly believe in developing close parental partnerships to maximise the development and learning opportunities for each child. 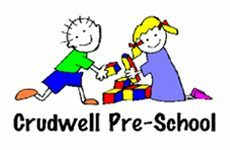 Parents working together with pre-school practitioners has shown to make a really positive difference. We offer varied and stimulating activities, including Ninja Tots, Music Monsters, Didi Dance and Gardening. Our purpose-built woodland garden, with its sensory areas and opportunities for exploring and physical play, is a firm favourite with all of the children. Fun is of paramount importance to us, and our carefully planned themes and topics allow children to explore new subjects through imaginative and creative play. The spacious setting allows us to create play zones, facilitating child-led learning. We dedicate areas to messy play, sensory play, ICT, role play, and craft, as well as space for group activities and adult-initiated projects. Our new ‘woodland den’ library brings the ethos of our outside area into the building. It is a quiet, calming area where children can curl up with a book or just relax on the cosy beanbags. Circle Time incorporates group stories, conversation, songs and Show and Tell. Gathering together each session ensures a feeling of unity and promotes self-confidence and good communication skills. Field trips, welly walks, an Easter egg hunt, a nativity play, sledging and building snowmen, sports day, and a graduation ceremony for our leavers mark special points in our pre-school calendar, where parents and siblings are warmly welcomed and encouraged to join in the fun!